In 1989 Cicerone Press published the first of a two volume guide, with the second volume being published the following year. These books are entitled The Mountains of England and Wales, volume 1 Wales and The Mountains of England and Wales, volume 2 England. Within their pages are details to the 2,000ft mountains of each country and over the years they have become prized possessions for many hill walkers as their contents must have been a labour of love to produce. 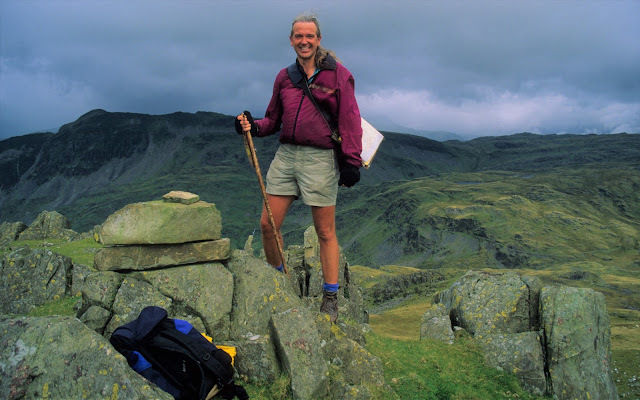 The guide book authors are John and Anne Nuttall, a married couple who live in Congleton in Cheshire and the listing of hills within these two books are now affectionately known as the Nuttalls. Since the publication of these guide books there have been many people who have completed an ascent of each mountain, with 275 completers listed as of October 2016. By doing so each and every person would have visited all summits in England and Wales at or over 2,000ft (609.6m) in height that have a minimum prominence of 15m. 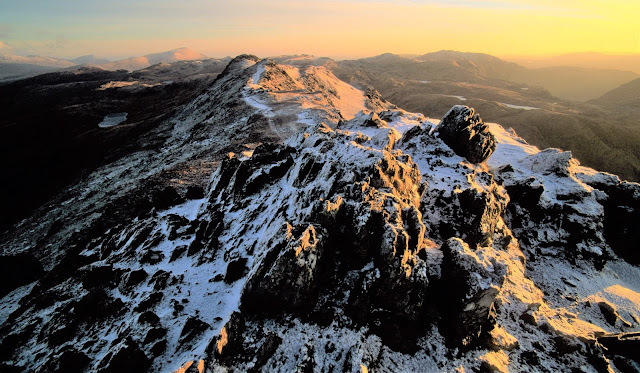 These mountains are spread throughout Wales and also take in the majority of upland areas in England from the wilderness of the Cheviot in the north to the rock tors of Dartmoor in the south, with the Welsh mountains taking in the variety of Snowdonia’s higher summits to the remote and bleak central hills to the old red sandstone giants of the south. Each and every mountain can leave memories that refresh the soul and body, and for many it is these two volumes written by John and Anne that have taken them on a journey through some of the most beautiful landscape that Britain has to offer. 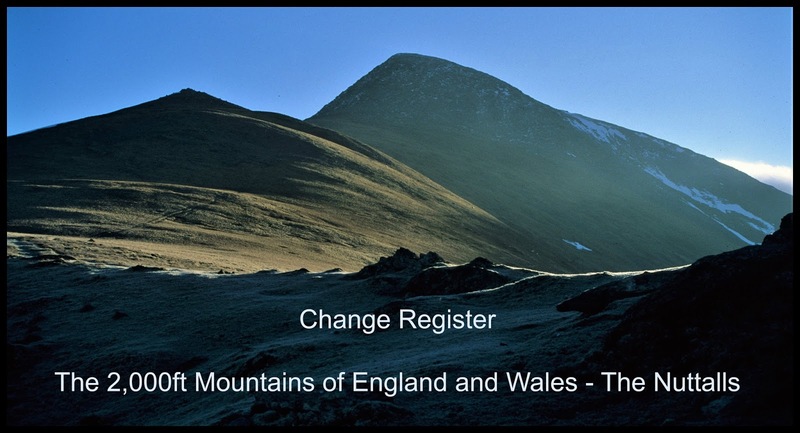 When the books were first published Wales was listed with 181 mountains and England with 251 mountains. Since these early days the influx of independent surveyors and the diligence of map study has reclassified and promoted a number of hills to mountain status. But what hills have now entered these lists and who was responsible for their inclusion? It seems fitting to list these reclassified Nuttalls as there have been four alterations to the list within a two week period in the latter part of 2016 with three mountains being promoted to the list and another one deleted, with their overall total now being 446, an increase of 14 since they were first listed in 1989 and 1990. These reclassifications are just the latest in a line that stretches back to 1997 when the first of many surveys were conducted on prospective new mountains, and it seems only appropriate to list these with their respective details, now that there are three mountains that have recently entered the lists. However, there have also been three deletions over the years in all, and these are also listed with their respective details. Confirmation of promotion to Nuttall status via the Grough website on the 09.08.18, the hill was surveyed by Graham Jackson, John Barnard and Jim Bloomer using a Leica GS15 and by line survey with John and Anne also present, resulting in a 610.1m summit height and 19.8m of drop, with these two values being sufficient for qualification as a Nuttall, with confirmation of this hill's addition to Nuttall status being posted on the Nuttall's website on the 10.08.18. English Nuttall total increases by one and confirmed as 257. The acceptance that this hill’s drop is insufficient for continued Nuttall status was posted on the RHB Yahoo Group forum on the 22.05.17 by John Barnard. The hill had been analysed using LIDAR data by Aled Williams, resulting in a 685.6m summit height and a 672.0m bwlch height, with these values giving this hill 13.6m of drop, with these details forwarded to John and Anne Nuttall on the 10.11.16. The hill was subsequently surveyed by John Barnard and Graham Jackson using a Leica GS15 and also by line survey, resulting in a 686.0m summit height and a 672.0m bwlch height, with the line survey giving this hill 13.97m of drop. Confirmation of the deletion of this hill from Nuttall status was posted on the Nuttall’s website on 31.05.17. Welsh Nuttall total decreases by one and confirmed as 189. Confirmation of promotion via the Grough website on 18.11.16, with affirmation on the Nuttall's website on 21.11.16. The hill was surveyed on 05.10.16 by Graham Jackson and Jim Bloomer using a Leica GS15 with John and Anne also present, and by line survey conducted by John Barnard, Chris Crocker and Simon Edwardes with the resulting 16.5m of drop being sufficient for qualification as a Nuttall. English Nuttall total increases by one and confirmed as 256. Confirmation of promotion via the Grough website on 18.11.16, with affirmation on the Nuttall's website on 21.11.16. The hill was surveyed on 05.10.16 by Graham Jackson and Jim Bloomer using a Leica GS15 with John and Anne also present, with the resulting 19.3m of drop being sufficient for qualification as a Nuttall. English Nuttall total increases by one and confirmed as 255. The first English Nuttall to be deleted since publication of John and Anne’s list and guidebook in 1990, with confirmation of the deletion via the Nuttall’s website on 12.11.16. The hill was surveyed by Myrddyn Phillips using a Trimble GeoXH 6000 on 10.10.15 and as the result of 14.7m (14.683m) of drop was insufficient to retain its Nuttall status the result was forwarded to John and Anne. A line survey was later conducted on the hill on 06.10.16 by John Barnard and Graham Jackson with John and Anne also present. The result confirmed the Trimble survey with 14.68m of drop. English Nuttall total decreases by one and confirmed as 254. Confirmation of promotion via Joe Nuttall posting on the Yahoo groups RHB forum on 04.11.16, this being the result of Joe Nuttall relaying the information that LIDAR data gave this hill 15.783m of drop and asking me if I could survey it with the Trimble, the resulting Trimble GeoXH 6000 survey confirmed that with 16.1m this hill has sufficient drop to qualify as a Nuttall. With later affirmation via the Nuttall’s website on 12.11.16. Welsh Nuttall total increases by one and confirmed as 190. Confirmation of reclassification via the Nuttall’s website on 06.09.16. This hill had been surveyed by John Barnard, Graham Jackson and myself using the Leica 530, firstly on the 15.04.10 when a two hour summit data set was gathered, and secondly on the 20.05.10 when a four hour summit data set was gathered. Both data sets were subsequently processed by Ordnance Survey who confirmed that this hill was 609.58m high and therefore just 2cm under 2,000ft (609.6m) in height. However, six years later the Ordnance Survey produced their new geoid model; OSGM15, resulting in all known accurate heights increasing by 2cm – 4cm throughout England and also Wales, this resulted in Calf Top increasing in known height to all of 6mm over 609.6m (2,000ft). English Nuttall total increases by one and confirmed as 255. The second Welsh Nuttall to be deleted since publication of John and Anne’s list and guidebook in 1989. Confirmation of deletion via the Nuttall’s website on the 05.08.15, reversing its inclusion (see below) after John Barnard, Graham Jackson and Myrddyn Phillips line surveyed the hill and also surveyed it with a Leica GS15 and Trimble GeoXH 6000 on 16.06.15, resulting in the hill having 14.77m of drop. Welsh Nuttall total decreases by one and confirmed as 189. Confirmation of reclassification via the Nuttall’s website on 03.04.13. This hill had been surveyed by John Barnard, Graham Jackson and myself using the Leica 530 and Leica GS15, firstly on the 22.08.12 when a two hour summit data set was gathered, and secondly on the 03.03.13 when a four hour summit data set was gathered. Both data sets were subsequently processed by Ordnance Survey who confirmed that this hill was 609.65m high and therefore over 2,000ft (609.6m) in height. English Nuttall total increases by one and confirmed as 254. Confirmation of promotion to the Nuttalls list on 19.09.08 at a Press Conference held in the Oakeley Room at Plas Tan-y-bwlch, Maentwrog with affirmation on the Nuttall's website on 19.09.08. This hill was first proposed as a prospective hill to survey by Aled Williams on the Nuttall’s message board, and the survey that resulted in this hill’s reclassification to a Nuttall was done in conjunction with Leica Geosystems with their representative; James Whitworth being the surveyor who operated the Leica 1200, Clwb Mynydda Cymru and the Snowdonia National Park Authority. Present on the survey were John Barnard, Graham Jackson, Dewi Jones, Harold Morris, Anne Nuttall, John Nuttall, James Whitworth and myself. 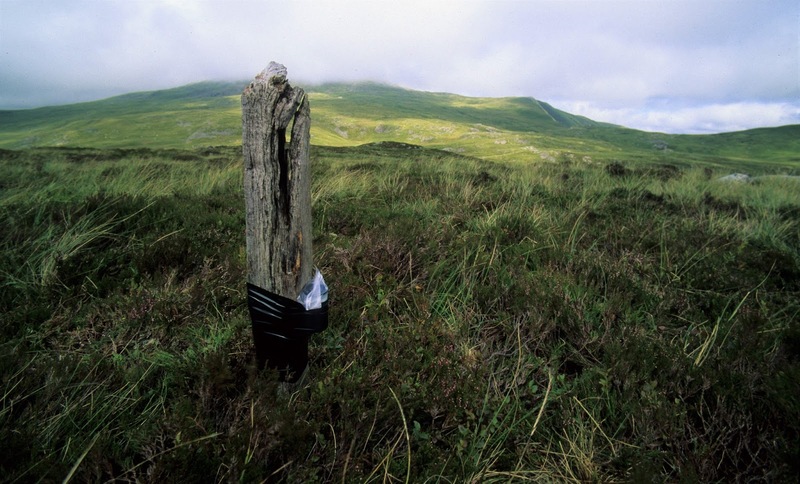 Outside of The Munro Society commissioning CMCR Ltd to survey two hills in Scotland for Munro status this was the first time that Differential GPS equipment had been used outside of the Ordnance Survey to determine the accurate height of hills. The resulting reclassification of Mynydd Graig Goch made headlines on the television, radio and throughout the national press. Welsh Nuttall total increases by one and confirmed as 190. Confirmation of promotion to the Nuttalls list on 02.09.07. There were two hills outstanding that needed accurately surveying out of the 166 hills I had surveyed for Nuttall status, and this hill was the second of them. To my knowledge the hill was first proposed for Nuttall status by Dewi Jones, and I subsequently surveyed this hill on a number of occasions and forwarded the details to Dewi, and John and Anne, with all my surveys giving this hill over 15m of drop. But it wasn’t until John Barnard, Dewi Jones and I teamed up that this hill was surveyed with a Leica Disto A8 on the 24.07.07, resulting in the hill having 15.95m of drop. This hill was later surveyed with the Trimble GeoXH 6000 as having 15.9m of drop. Welsh Nuttall total increases by one and confirmed as 189. Confirmation of promotion to the Nuttalls list on 02.09.07. There were two hills outstanding that needed accurately surveying out of the 166 hills I had surveyed for Nuttall status, and this hill was one of them. I surveyed this hill on a number of occasions and forwarded the details to Dewi, and John and Anne, but it wasn’t until John Barnard, Graham Jackson and I teamed up that this hill was surveyed with an Automatic Level and Staff on the 26.05.07, resulting in the hill having 16.1m of drop. Welsh Nuttall total increases by one and confirmed as 188. 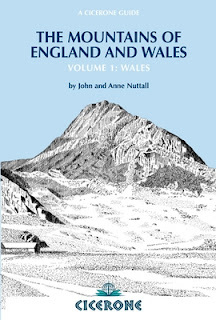 The first Welsh Nuttall to be deleted since publication of John and Anne’s list and guidebook in 1989. Confirmation of deletion to the Nuttalls list on 02.09.07 with a suitably wet wake held on behalf of the hill on 19.08.07. This hill was line surveyed by John Barnard and Graham Jackson on 03.03.07, resulting in the hill having 10.7m of drop. Welsh Nuttall total decreases by one and confirmed as 187. Confirmation of promotion via the Nuttall’s website on 04.10.06 and confirmed on 05.10.06. This hill had been proposed for inclusion as a Nuttall by several people, most notably John Barnard and Graham Jackson who on the 03.06.06 used an Automatic Level in calculating the height of the hill. 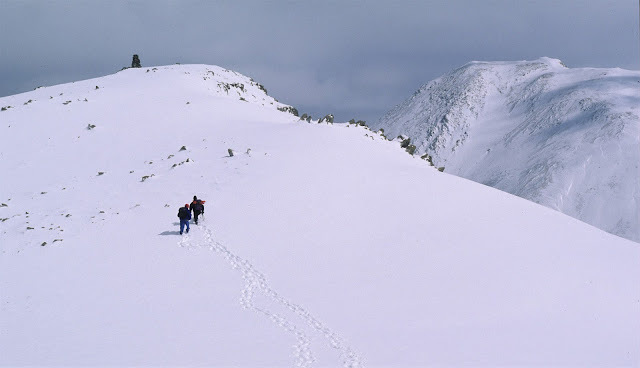 Subsequently John and Anne Nuttall had the height of the hill confirmed by Ordnance Survey and then accepted it into their list of English 2,000ft mountains. English Nuttall total increases by one and confirmed as 253. The first new English Nuttall since publication of John and Anne’s list and guidebook in 1990. Confirmation of promotion via the Nuttall’s wesbsite after John and Anne had surveyed the hill in November 2004. This hill was proposed for inclusion as a Nuttall by Edwin Gradwell and Andy Moffat, and subsequently surveyed with the Leica RX1250 by Alan Dawson, resulting in the hill having 21.0m of drop. English Nuttall total increases by one and confirmed as 252. Confirmation of promotion via letter dated 21.10.99 after John and Anne had surveyed the hill. I’d surveyed this hill on numerous occasions and forwarded the results to Dewi, and to John and Anne. The hill was subsequently line surveyed by Harold Morris, Dewi Jones, John Williams and myself on 02.07.99 resulting in a 15.13m drop value. The hill was subsequently surveyed using a Leica GS15 resulting in a 650.9m height and also by line survey, unsurprisingly resulting in a 15.1m drop value. Welsh Nuttall total increases by one and confirmed as 188. Confirmation of promotion via letter dated 16.09.99, with survey having been conducted by John and Anne Nuttall on 14.09.99. This was the first hill I ever surveyed and repeated the process on a number of occasions and forwarded the results to John and Anne. This hill was subsequently surveyed with the Trimble GeoXH 6000 by me, resulting in the hill having a 15.9m drop. Welsh Nuttall total increases by one and confirmed as 187. Confirmation of promotion via letter dated 16.09.99, with survey having been conducted by John and Anne Nuttall on 10.09.99. I’d surveyed this hill on a number of occasions and forwarded the results to John and Anne, with all my surveys giving this hill over 15m of drop. This hill was subsequently line surveyed and surveyed with a Leica GS15 and Trimble GeoXH 6000 by John Barnard, Graham Jackson and myself, resulting in the hill having a 15.5m drop. Welsh Nuttall total increases by one and confirmed as 186. Confirmation of promotion via letter dated 12.08.98, with survey having been conducted by John and Anne Nuttall during the previous week. I surveyed 166 hills for Welsh Nuttall status and this hill was the first hill confirmed through these surveys to enter the list of Nuttalls (it was also the second hill confirmed to lose its Nuttall status, see above for details). 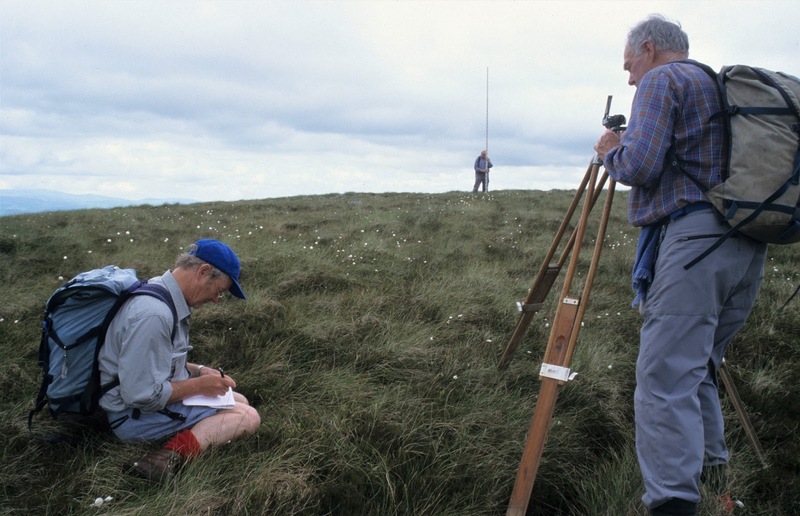 The details from this hill’s survey were passed on to Dewi, and John and Anne, who all later surveyed it and came to the same conclusion that the hill just had sufficient drop to be included. It was also rather ingeniously surveyed on the 25.05.98 by Joe and Tara Nuttall who used an almost full water bottle to ascertain its drop value. Welsh Nuttall total increases by one and confirmed as 185. Confirmation of promotion via letter to Dewi Jones dated 16.02.98, with survey having been conducted by John and Anne Nuttall on 15.02.98. Having met Dewi in the car park at Bwlch y Groes I was inspired to take up surveying after he told me that ‘John and Anne had missed one on the northern ridge of Cnicht.’ I subsequently had a staff manufactured and took up the challenge to find a new Nuttall, and sent Dewi details of this hill which he then surveyed, passing the details on to John and Anne via letter. Welsh Nuttall total increases by one and confirmed as 184. Confirmation of promotion via letter to Dewi Jones in late 1997, with Dewi having proposed this hill as a prospective new Nuttall via letter to John and Anne Nuttall who subsequently surveyed it. Welsh Nuttall total increases by one and confirmed as 183. Confirmation of promotion to Nuttall status via an article written by John and Anne Nuttall in the Rambling Today magazine, dated spring 1997, after Dewi Jones surveyed the hill with a rudimentary levelling staff and informed the authors of the result, with the qualifying drop value later confirmed by a line survey conducted by Harold Morris and Tudur Owain. This hill was subsequently surveyed using a Trimble GeoXH 6000 by Myrddyn Phillips on the 23.03.19 resulting in a 690.2m summit height and a 670.9m bwlch height, with these values giving this hill 19.3m of drop. Welsh Nuttall total increases by one and confirmed as 182. 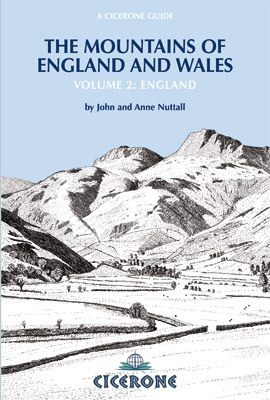 1990 - Cicerone Press publishes The Mountains of England and Wales, volume 2 England. English Nuttall total confirmed as 251. 1989 - Cicerone Press publishes The Mountains of England and Wales, volume 1 Wales. Welsh Nuttall total confirmed as 181.